Palabok - that noodle dish topped with egg, chicharon and calamansi - you think you know it very well, but do you ever wonder what that orange stuff is made of? Together with Santa Ana Heritage Tours head tour guide, Boyet, and Fundacion Santiago representative, Cheska, we venture into Santa Ana's public market to sample this traditional delicacy. A number of stalls sell their own 'original' version, which have gained quite a following among locals (and now, including balikbayans). Each of us in our small tour group got a plateful (from Meckie's). It seemed that halo-halo was a popular pair for this pansit, so we also gave it a go. 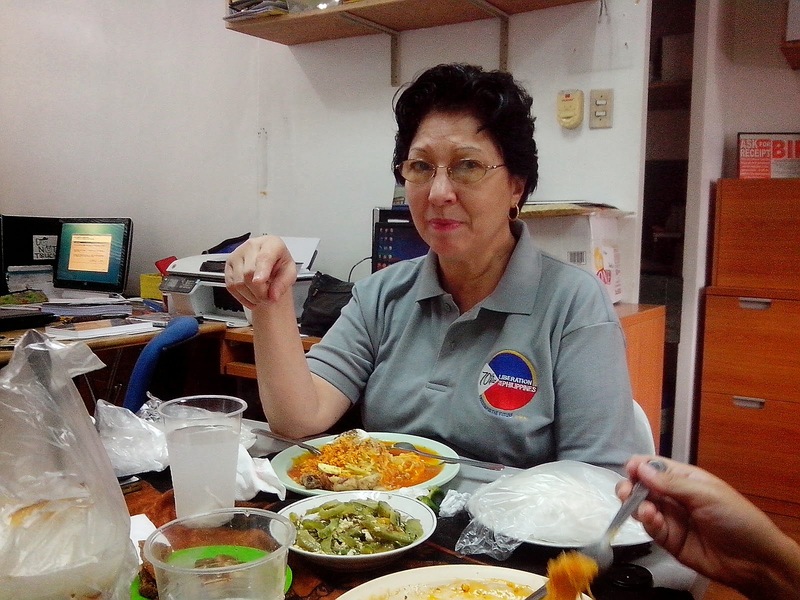 Over lunch, we got to meet the sprightly lady whose passion and efforts help stir heritage consciousness in Santa Ana - Ms. Sylvia Lichauco-De Leon. Yes, she is indeed an heir of the prominent Lichaucos. Their house - a heritage structure listed by the National Historical Commission - is one of the stopovers included in the SAHTA tour*. Believed to be built in the mid 1800s, the structure that once served as a safehouse for war victims sits facing the riverbank (the main highway back then was the river). Inside its compound is the second-oldest tree (Balete) in Manila. Although we never got to set foot inside the famed Lichauco house, its present resident walked us through it in her stories and photographs. 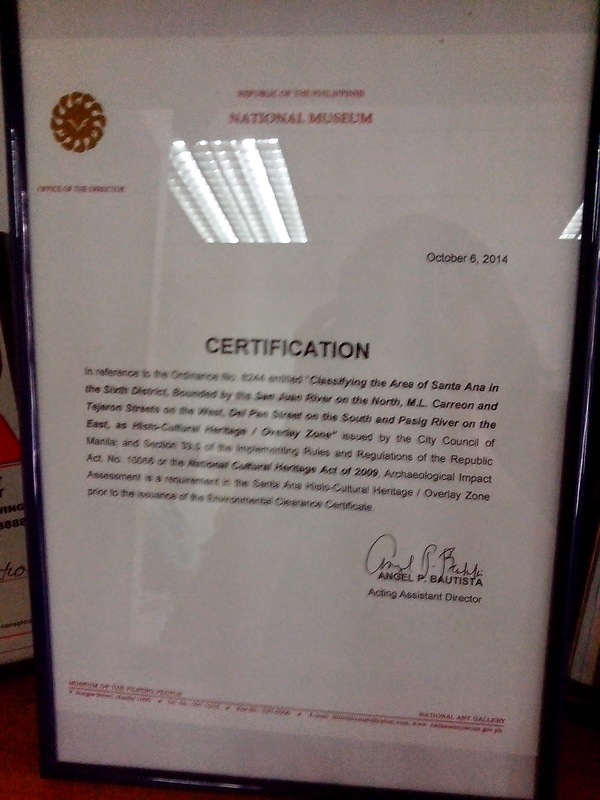 Sylvia also let us in on more Santa Ana history, as well as her projects for the town: the Santa Ana Heritage Tourism Association (SAHTA) and the Lola Grande Foundation. The latter helps train women and educate less fortunate kids. SAHTA is active in the preservation of the town's heritage. She is instrumental in the fight against real estate developers building high-rise structures in the town's Histo-Cultural Heritage Zone (declared by National Museum). What was once the prime land for the wealthy of Manila is now under threat of losing its historical identity. Any historical treasure that may lie under the surface could be easily be entombed in dull, grey cement and be forgotten indefinitely should the constructions continue. Meanwhile, we troop over to the river side, to check out the old and new ferry terminals. Here, the past and the present co-exist. For P3.00, one may take a boat ride to the other side of the riverbank (Punta, Santa Ana side). 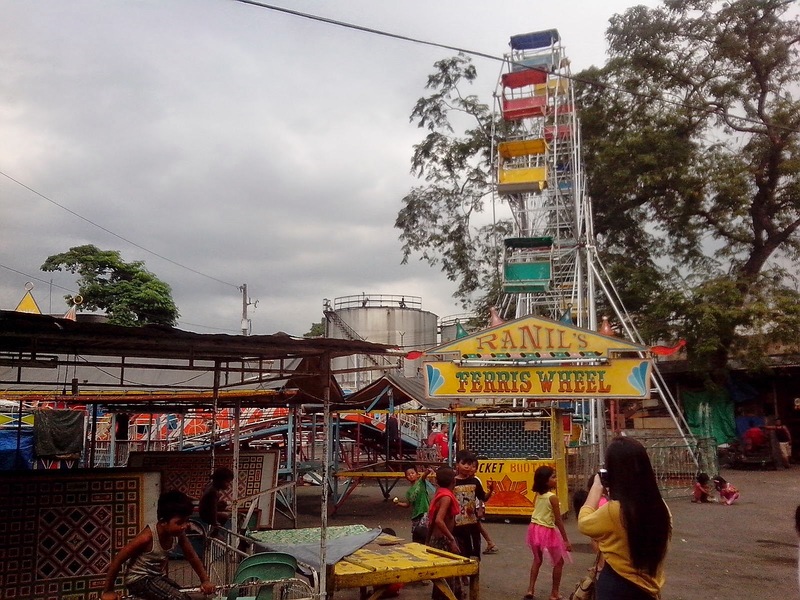 The other terminal is serviced by the MMDA Pasig River ferry. The last stop on our tour, ironically, was at SM Savemore. The property was once home to the first convent of the RGS sisters (a marker was placed to recognize this). In a bittersweet compromise with the heritage conservationists, the supermarket was built with better aesthetic taste and an open space was allotted for community use. On one end of the open area is an excavation protected by plexiglass. There, actual evidence of a Spanish colonial bahay-na-bato lay: remnants of a stone wall and some old bottles (likely from the same era). Just like the palabok we had for lunch, Santa Ana was somerthing very familiar (I pass by the area frequently) but never really knew what's in it until I took a closer look. Thanks to the initiative of SAHTA, people may now learn more about this place which was once the 'Forbes Park' of Manila.